ATMA 2019 Exam Date has been Revised for May Session. 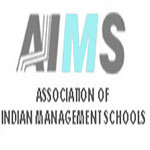 ATMA 2019 conducted by the AIMS (Association of Indian Management Schools) authority this exam is a national level test for admission in various institutions of management. ATMA 2019 Registration (May Session) has been Started on 20th February 2019. AIMS Test a Management Admissions is a single-window test which is conducted by authority multiple times throughout the year. Through their exam candidates can get into the MBA/ PGDM/MCA and many other management courses. 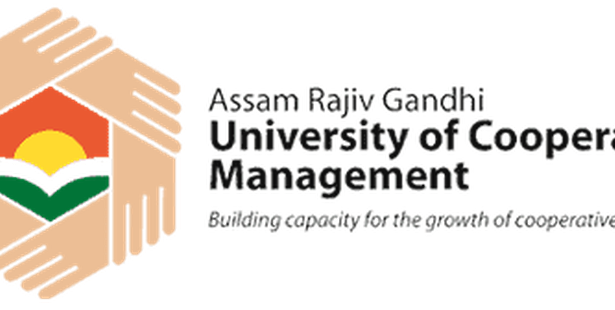 Various institutions/universities within India accept the score of the ATMA 2019 exam. In this article, we have mentioned the ATMA 2019 all requirement details about Application Form, Exam Dates, Eligibility Criteria, Exam Pattern, Admit cards and Syllabus Etc. ATMA 2019 Exam Date has been Revised for May Session. The Examination will be held on 18th May 2019. Check Here for Exam Dates. ATMA 2019 Registration (May Session) has been Started on 20th February 2019. Click Here to Check Registration Details. An ATMA 2019 entrance exam date is provided below in the table. In Table events are mentioned such as Registration Starts from, closing of payment portal, Last date of registration and Last date to re-print filled-in application form, etc. ATMA 2019 (May Session) Registration has been Started on 20th February 2019 and the Last date of Registration is 12th May 2019. Candidates can fill and submit the application by methods online mode. Candidates fill the ATMA 2019 application form, Started on 20th February 2019. The application will be registered only after the candidates fill the online fee payment form. ATMA 2019 Registration (for May Exam) can be done till 12th May 2019. At the time of registration, candidates have to fill the valid mobile number or e-mail ID. Authority will send an auto-generated mail containing username and password After submission of registration form. Candidates must keep printed copies of filled application form. Application form fees can be paid through online mode. All candidates have to pay ATMA 2019 Application Fees compulsorily. The application fee will be 1298/-including GST for every candidate. Candidates can make Payment through debit/credit card (Payment Gateway). Candidates should read full eligibility criteria whether they can apply or not for admission. Before filling application take a look at provided provision eligibility criteria. ATMA 2019 eligibility criteria contain the Qualifying Exam, Minimum Marks, Age Limit and Appearing Candidates. Candidates can check the eligibility criteria required to appear in the exam. Qualifying Exam: The candidate should have completed their graduation in any discipline from a recognized university. Minimum Marks: Candidate must obtain at least 50% marks in the qualifying exam. Age Limit: The minimum age required is 21 years. 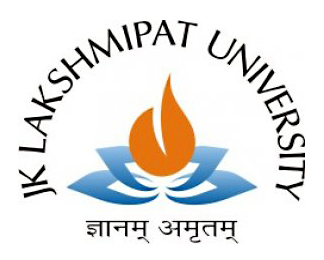 Candidates have to download the admit cards from the official portal. ATMA 2019 admit card will not be sent to any candidate individually. Authority will declare the ATMA admit card 2019 will be Available on 16th May 2019. After taking print copies candidate have to paste their recent photograph in the space provided on the admit card. Candidates have to carry their valid admit at the examination along with the copy of the registration form, two recent recognizable photographs the same as the affix on the admit card and original photo identification proof. Keep safe until the completion of the examination. ATMA 2019 Answer Key will be Available after the exam. Candidates should check the Exam pattern of entrance exam. This will help them in preparation. The question paper is based on multiple choice type in multiple-choice formats where there will be 180 questions which are divided into six sections. Mode: It will conduct in online mode. Type of Question: Questions will be of multiple choice type. Of Questions:180 questions will be asked which are divided into six sections. Duration: The exam is of about 3 hours. Candidates must collect all details regarding ATMA 2019 syllabus and exam pattern. Practice from the sample tests given on the website. Candidates must make a proper timetable and start preparation accordingly. The study from the selected best books and study materials for preparation. Candidates should try to solve the previous year’s question papers. Prepare for ATMA 2019 exam from given syllabus which will help to score satisfaction marks in entrance exam. The ATMA 2019 syllabus comprised of the sections on verbal, quantitative and analytical reasoning skills. The syllabus is provided in such manner to that candidates will be able to develop skill and knowledge for higher management education. No authority will prescribe any specific syllabus for the exam in official. To get familiarized with paper pattern authority has provided the mock test which will be made available on the website. ATMA 2019 Result will be Declared on 24th May 2019 (for May exam). Candidates have to enter their login Id to access the ATMA scorecard. At the time of registration, Candidates have to enter the user Id and password generated. No authority will issue a hard copy of the result to the candidates. The scorecard of each candidate will be sent to the five participating institutions which are select by the candidates at the time of registration after the declaration of result. Where candidates want to get admission Candidates to have to report the respective institution. Admission will be carried out with the document verification and other formalities. Candidates who are attaining the counseling process have to carry their requirement document for verification purpose. If you have any other queries about ATMA 2019, you can write your queries in the comment box given below.